Crown copyright is a form of copyright claim used by the governments of a number of Commonwealth realms. It provides special copyright rules for the Crown, i.e. government departments and (generally) state entities. Under Part VII of the Copyright Act 1968, the Australian Government holds copyright in any work, film or sound recording made by or under the direction or control of the Government, and any work first published by or under the direction or control of the Government. An extensive review was carried out in 2004 and the findings were published in 2005 in the Copyright Law Review Committee's report. The chief recommendation was to end the distinction between the Crown and other copyright holders. In particular, the Committee was "emphatic" that the Crown lose its unique position of gaining copyright over material whenever it is the first publisher of such material. For example, a previously unpublished short story, upon being published in a government work, would cease to belong to the author and would instead become Crown copyright, denying the author any future royalties or rights to it. Normally, copyright in Canada "exists for the life of the author/creator, the remainder of the calendar year in which he is deceased, plus fifty years after the end of that calendar year". For crown copyright however, there is a slight difference. Canadian crown copyright is based on the concept of royal prerogative and "is not subject to the usual statutory copyright term". This prerogative is referenced at the outset of section 12 of the Copyright Act, which states that this section is made "Without prejudice to any rights or privileges of the Crown". Crown copyright covers all works that are “prepared or published by or under the direction or control of Her Majesty or any government department.” In this way, "work produced by government departments, whether published or unpublished, may be protected either permanently or at the whim of the Crown". Subsequently, Crown copyright can be, in certain cases, "said to be perpetual...and not to lapse through non-use or non-assertion", and that a "right to certain works by prerogative amounts to a perpetual term of copyright protection". 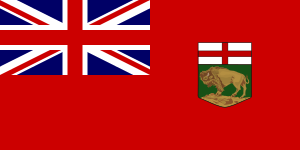 One example is where the "Arms of Canada as designed in 1921 and revised in 1957...[and] as revised in 1994...are protected under the Trade-marks Act and the Copyright Act", maintaining Crown copyright long after the normal 50-year period. Crown copyright exists for a variety of reasons, such as to ensure accuracy and integrity, to control symbols used to identify the Crown and its agents, as well as to supervise and control the publication of government works as the public's trustee. Court Services Online - Copyright notice The following policy governs the operation and management of the government's main Web site and all Web sites of ministries, and agencies reporting to ministries. 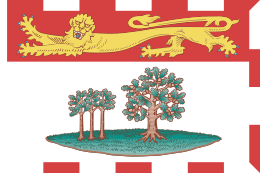 The Province of New Brunswick, through the Queen’s Printer, owns and retains the copyright for New Brunswick’s legislation. The legislation on this site has been posted with the intent that it be readily available for personal, educational and public non-commercial use and may be reproduced, in whole or in part and by any means, without charge or further permission from the Queen’s Printer, provided due diligence is exercised in ensuring the accuracy of the materials reproduced. Reproduction of materials at this site, in whole or in part, for the purposes of commercial redistribution is prohibited except with written permission from the Queen’s Printer. To obtain permission, mail or e-mail your request to the Queen’s Printer directly. Crown copyright in New Zealand is defined by Sections 2(1), 26 and 27 of the Copyright Act 1994. The Crown is the first owner of any copyright subsisting in any work created by a person who is employed or engaged by the Crown, under a contract of service, apprenticeship, or a contract for services. It covers works of the Queen in right of New Zealand, Ministers of the Crown, offices of Parliament and government departments. The term is 100 years. The Copyright Act 1911 removed the concept of common law copyright protection from British law, and it also provided specific protection for government works for the first time. Crown copyright was extended to any work prepared or published by or under the direction or control of His Majesty or any Government department. The Copyright Act 1956 further extended Crown copyright protection to include every original literary, dramatic, musical or artistic work made by or under the direction or control of Her Majesty or a Government department; sound recordings or cinematograph films made by or under the direction or control of Her Majesty or a Government department and works first published in the UK, if first published by or under the direction or control of Her Majesty or a Government department. However, some documents have Crown Copyright waived by the government, subject to certain conditions. This was introduced in a white paper in 2000 in order to improve access to government publications. There are 11 classes of copyrights for which waivers are granted. Crown copyright has historically been perceived as depriving taxpayers of access to the very works they fund, and as prioritising funded business interests over otherwise regular citizens who cannot afford to license the works. However, the UK Government has developed a trend of automatically licensing all works published on GOV.UK and The National Archives under The Open Government Licence. ↑ "Vic Govt limited Google's bushfire map". ZDNet. 12 February 2009. Retrieved 20 November 2014. 1 2 3 "Copyright Act (Canada), S. 12". Archived from the original on 20 December 2013. ↑ "How long does Copyright last?". Her Majesty the Queen in Right of Canada. 19 November 2013. Retrieved 6 March 2014. 1 2 3 Judge, Elizabeth (2005). In the Public Interest: The Future of Canadian Copyright Law. Irwin Law. p. 557. ↑ La Force, Gina (Winter 1981). "Archives and Copyright in Canada: An Outsider's View". Archivaria. 11: 42. ↑ Vaver, David (6 June 1995). 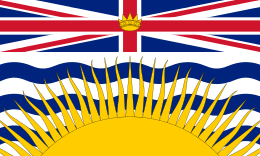 "Copyright and the State in Canada and the United States". University of Montreal. Archived from the original on 27 May 2010. Retrieved 11 December 2013. ↑ Smith, David (2013). Invisible Crown: The First Principle of Canadian Government. Toronto: University of Toronto Press. p. 77. ISBN 978-1442615854. ↑ Treasury Board of Canada Secretariat (10 May 2010). 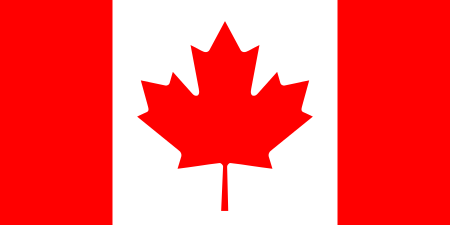 "Legal Protection (Canada) - Official Symbols". Her Majesty the Queen in Right of Canada. Retrieved 11 December 2013. 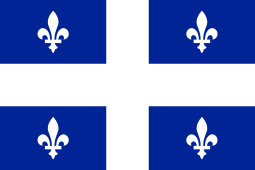 ↑ Government of Canada Publications (28 November 2013). "Crown Copyright and Licensing". Her Majesty the Queen in Right of Canada. Retrieved 11 December 2013. ↑ Geist, Michael (25 November 2013). "Government of Canada Quietly Changes Its Approach to Crown Copyright". Retrieved 11 December 2013. ↑ "Copyright Factsheet – National Library of New Zealand" (PDF). Find.natlib.govt.nz. Retrieved 20 November 2014. ↑ UK copyright waivers, from Her Majesty's Stationery Office (HMSO): Future Management of Crown Copyright. Which documents are subject to waivers varies from time to time; see the current list. Archived 14 July 2007 at the Wayback Machine. ↑ "Open Government License 2.0". The National Archives. Retrieved 26 December 2013. ↑ "What OGL covers". The National Archives. Retrieved 26 December 2013. ↑ "CROWN COPYRIGHT IN THE INFORMATION AGE" (PDF). Opsi.gov.uk. Retrieved 20 November 2014.